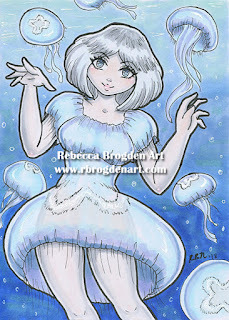 Description: Original 8.5 x 11 copic marker drawing for sale. Click Here. This catgirl just finished a rigorous training exercise. She feels extra purrdy and accomplished from running 5 miles.